Enda Kenny had just finished his interview with CNBC when one of the guest commentators noted “you’d have to go far to alienate the Irish, they are just that good of friends”. Although it might sound like he was suggesting we’re a pushover, it was meant in a nice way. The image of Ireland as a forgiving country that has time after time come back from the brink, most recently with the “Irish miracle” following a period when the economy was so bad that “houses were just shuttered”. In summary the American image of Ireland as a quaint old harmless friend from across the Atlantic is alive and well. But while their impression of us has not changed dramatically over the years, Irish eyes in the US are looking at things very different in the era of Trump. Proper Irish-Americans, as opposed to millions who will be dressed as leprechauns tomorrow, have shifted their political thinking in a way that we at home might not like to accept. Where once it was safely assumed that the vast majority voted for the Democrats, that is no longer the case. On his visit to the US the Taoiseach has been doing the usual mix of business and social events that will inform his views before today’s meeting with Donald Trump. He has been hearing less about how Mr Trump is “racist and dangerous” and more about how Ireland needs to get him on side. 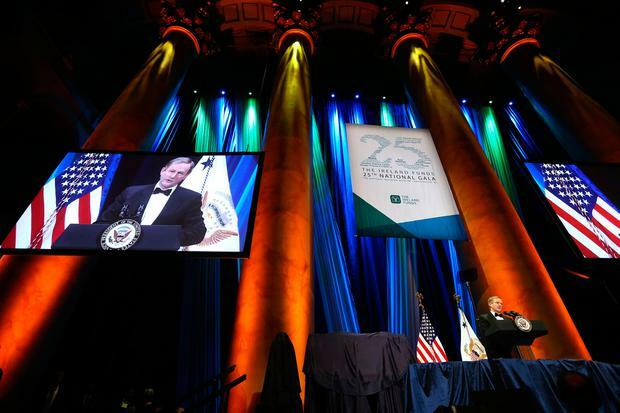 While at home politicians have been pushing for a ‘tough talking Taoiseach’ to march on the White House, many of the Irish Americans are less forceful. “A lot of Irish voted for Donald Trump. That’s becoming clearer now,” said one source close to Mr Kenny. 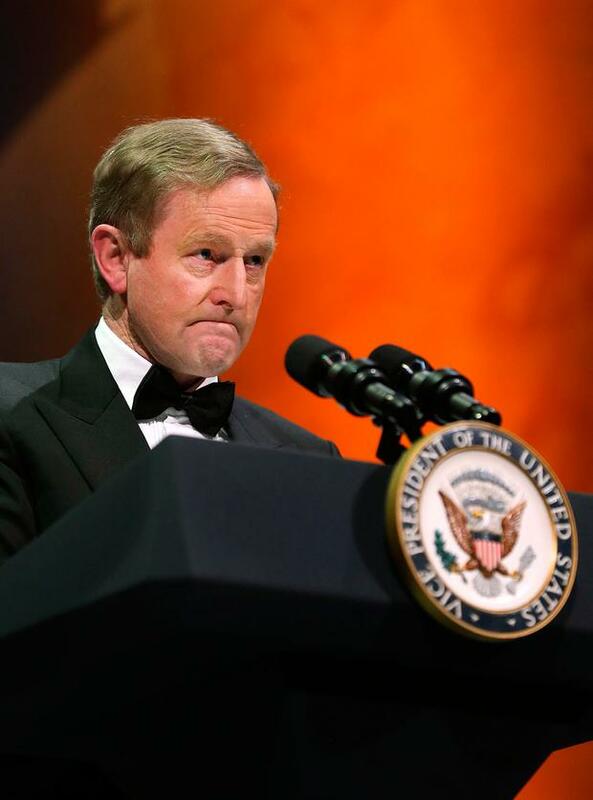 Another thing the Taoiseach has learned in recent days is that it’s not all about us. His own speeches at the start of the trip indicated that he was on course to seek a special deal for the undocumented Irish. He had said the priority was to “a strong case on behalf of the hard-working, tax-paying Irish people in the US who for too long now have been living in the shadows”. That has now broadened after the Irish American Mayor of Boston Marty Walsh said he would not support a special deal for the 50,000 undocumented Irish. His request to Mr Kenny was to “have a conversation with the President and Administration about how we come up with a solution instead of accusing folk of being illegal and being criminals”. In many ways this was a blow to the Taoiseach’s gameplan but it was better that he learned about the ‘bigger picture’ before his showdown with Mr Trump. Mr Kenny’s language has since shifted to talking about the Irish being among 11 million undocumented in the US. 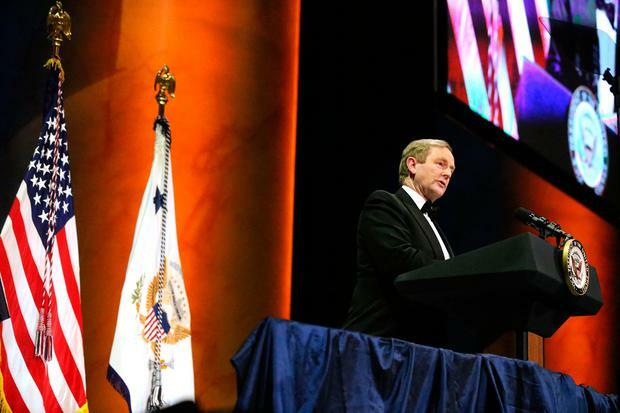 Aside from the President, Mr Kenny will meet many influential Republicans, including Paul Ryan, who for years have been off the radar for the Irish government. Now they hold the keys of Capitol Hill. “European leaders need to be over here talking to this administration about what membership of the EU means and the relationship it can have with as powerful an entity as the US,” Mr Kenny said this week. 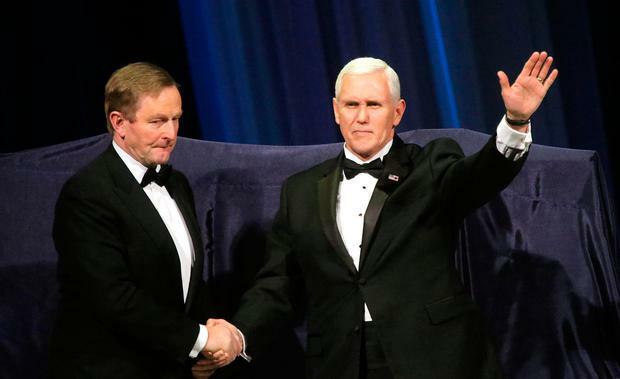 Last night the Taoiseach paid tribute to Vice President Mike Pence, saying “we take special pride in the fact that, for the first time in the history of this great republic, one Irish American has succeeded another in the office of Vice President”. At home that gushing praise sits uneasy but in Washington it goes down a treat. That’s the perverse balancing act facing the Taoiseach today. He can seek to impress his hosts and risk a backlash at home. Or he can confront Donald Trump about his “racist and dangerous” remarks and win praise at home. It's a tough choice - but it'll be his last trip to Washington as Taoiseach so in theory he has nothing to lose.